Darcus Nims - "Just Like Anybody Else"
In 1991, Darcus Nims traveled to Washington D.C. to receive the national Victorian Award for Achievement from President George H. Bush, for overcoming overwhelming challenges in her life. She had lunch at the White House and it was "the first time I ever got to stay in a hotel, the first time I ever got to go to a fancy restaurant." Some years later she had another first, flying to D.C. for a conference with self-advocate Betty Williams. “This time, we didn't have no helpers. 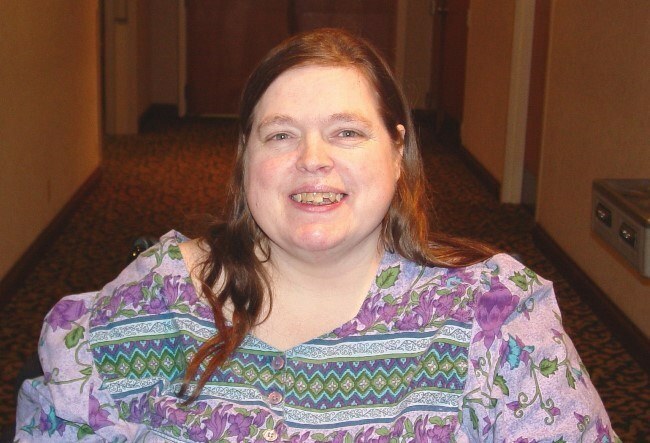 We didn't think we could do it ourselves and we thought -- we were shocked we did it.” Darcus founded Self-Advocates of Indiana, the statewide group of advocates with intellectual/developmental disabilities, in 1990. She was interviewed in 2006.